How do I display reviews on my BigCommerce pages? The Product Reviews element allows you to display reviews from other apps on your Shogun pages. Reviews are an excellent way to showcase your products. It is now very easy to display reviews on any of your Shogun pages. To get started, you can drag a Product Box onto your page, and then add a Products Review Element. You will need to enter your Yotpo API keys into the Integrations section of your Shogun settings. 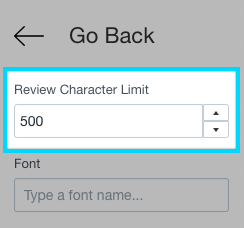 Once this is done, you can set your review element's Integration option to Yotpo. There are plenty of options to make this element fit into your design. 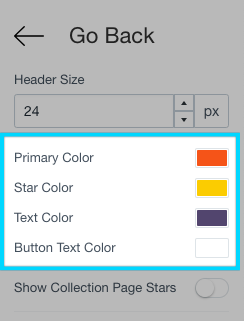 You can choose the primary color, the color of the star rating, the text color and the button text color. 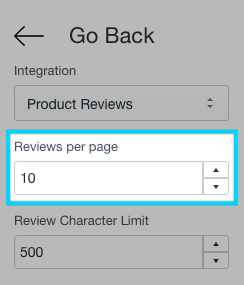 You can change the amount of reviews that are on display on a single page on your page. 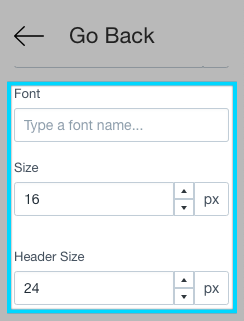 Sometimes, setting a limit on the amount of characters that your users can sometimes be a good idea. This can be done in Shogun using the Review Character Limit. Setting the fonts of elements are important in order to make sure that your content looks consistent on your page. Note: Integrations with additional apps will be available in the future.